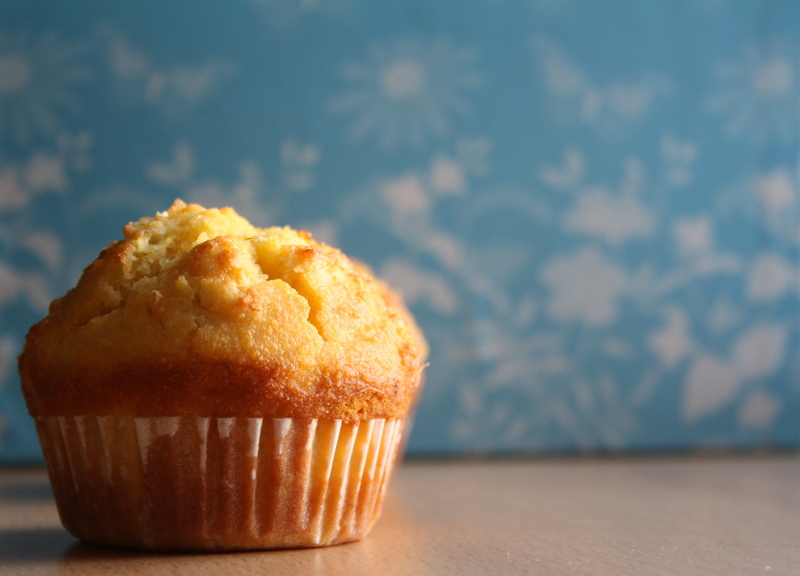 These delicious sweet gluten free corn bread muffins are light, delicious and a breeze to make. This version is only a little sweet yet not over the top. Cornbread is a great as great side dish or on its own. It’s a great side to BBQ as it’s flavour lends well to smoky home cooked meets and stews. Some like their corn bread sweet, some like it savory. I enjoy these warmed in the microwave and then smothered in a good quality runny honey. Regardless, this sweet gluten free version will be your new family favourite — I promise. Stir in 2/3 cup of sugar into a ½ cup melted butter. In a separate mixing bowl, add the eggs and beat until light and airy. Add the buttermilk and give it a good stir until well blended. In another bowl, combine the remaining dry ingredients until everything is well distributed.Add the liquid and stir until well blended and few lumps remain. Don’t over mix it! You want to ensure you have a few chunky lumps in the batter. Line a 12 cup muffin tin with paper cupcake liners. Fill the tins about 3/4 the way full. Bake in the preheated oven for about 30 minutes (375 degrees F or 175 degrees C). To test if there ready, insert toothpick in the centre. If it comes out clean your good to go! Leslie’s Top Tip: Buttermilk is a great ingredient as it adds a tangy zest to recipes. If you don’t have buttermilk, you can use plain milk with a squeeze of lemon juice. Just let sit for about 10 minutes to allow the lemon and milk cultures to do their magic. You can also use milk with about a 1/4 cup natural yogurt if you are in a pinch.